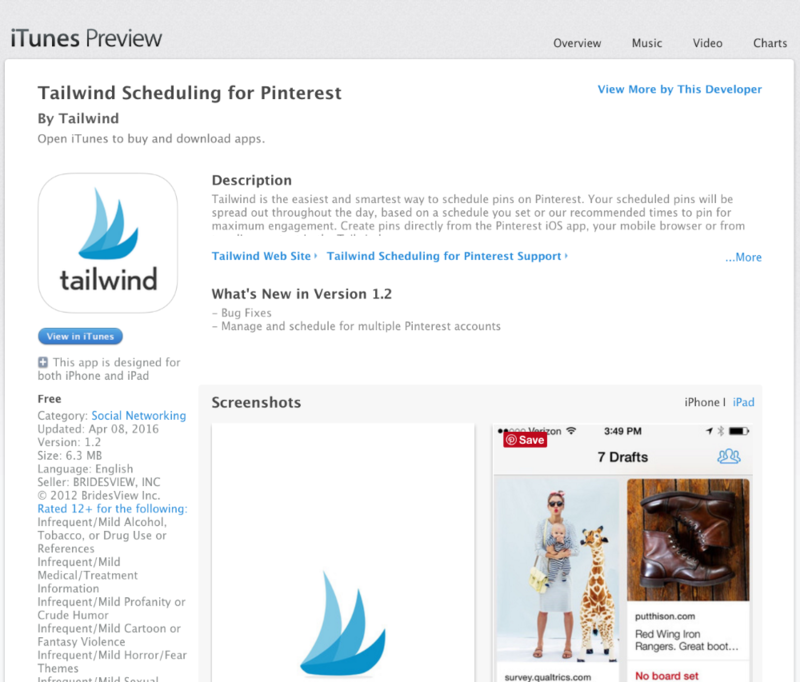 Does Tailwind have an iOS mobile scheduling app? Visual marketers need to think and act on their campaigns via mobile devices. After all, most of the visual web is mobile. Pinterest’s traffic is 80% mobile. 2 in 5 U.S. mobile users access Instagram each month. Snapchat now boasts over 100M daily active users. Enter the Tailwind iOS mobile app. With this handy companion app, you’ll be able to create, edit and schedule content from iPhone, iPad or iPod Touch. Visit "tailwindapp.com/ios" on your iOS device or "Search for 'Tailwind' in the App Store" on your iOS device. Once you've located the Tailwind app, tap "get" then "install". You are now ready to get to scheduling from your mobile device! Download from the iTunes Store!